Grocery shopping is truly one of my favorite things to do, so two-week hauls aren’t typically my practice. I love going once a week to pick out all the delicious things I’m going to cook with and eat! Choose simple recipes that can easily be doubled, frozen and reheated. Plan at least three of those for the first week’s menu and put the double portion in the freezer. Choose fruits and veggies that don’t require lots of prep and that last a long time in the fridge – apples and oranges instead of melons, spring mix instead of bagged salads or heads of lettuce. Here’s my two week menu plan! BBQ Chicken/Baked Potatoes/Southern Green Beans – I used chicken quarters and covered them in Italian dressing and BBQ sauce. They baked at 375 for an hour, and then I brushed a little more BBQ sauce on top before sliding them under the broiler for a couple minutes. I bought the bulk of my groceries at Aldi – I did two smaller trips (one each week) to Lowe’s Foods to supplement the things I couldn’t get at Aldi. See my Aldi haul below! 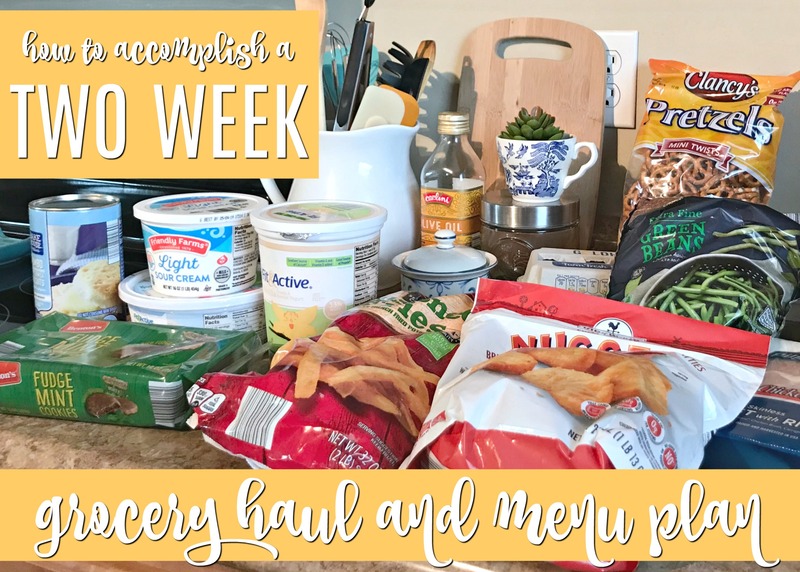 Are you a fan of two-week grocery hauls and menu plans? We have an Aldi but it’s not super convenient…I keep telling myself I’m going to go one Saturday but still haven’t made time. Before we had an Aldi nearby, I would go once a month and stock up on canned goods, baking supplies and whatever produce was on sale that week. Saturdays are my least favorite time to shop Aldi, though – it’s always crowded and low in inventory. Go early in the morning if you can! Just curious, do you also keep a stocked pantry? If so, I’d love it if you shared your tips! I’ve recently gotten back into menu planning and I’m so happy I did! I actually do two-week menu plans – mainly for dinner. We eat week one’s menu and then eat the exact same thing during week two. It’s been so easy because I only need to find 4-5 recipes total (they make enough for leftovers) … then I just make the same recipes again the following week. I got into the habit of two-week menu plans because payday is every two weeks. I plan my menu, shop, and then I’m done until next payday! 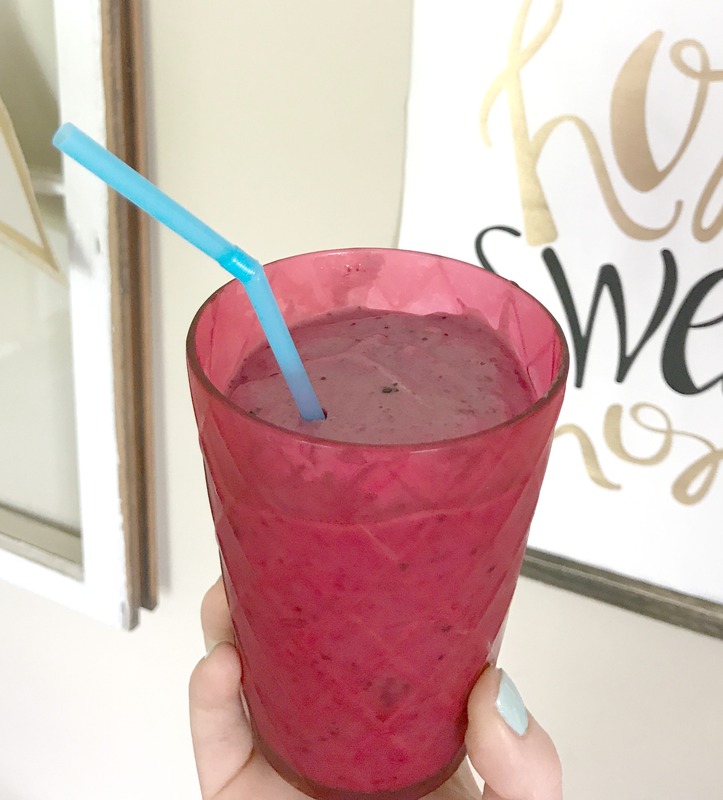 It saves me trips to the grocery store and it helps with budgeting, too! I’m so glad that’s working well for you! You’re right that it saves time AND money.